MySQL Backup is a very easy to use backup and restore application for MySQL . It creates 7z , zip ,gz ,raw sql backup for local or remote MySQL Server's databases easily and quickly . The user-friendly and professional wizard enables you just point and click with your mouse to do backup / restore job , without writing any sql script or complicated command line . It supports data compression and encryption . It is really a must-have tool for MySQL DBA. How to start SQL Server in single-user mode? Compare with user database , recovering master database is little bit different . Before run master database restore job , you are required to start SQL Server running in single user mode. 1) Open "Control Panel->Administrative Tools->Services"
Read more about How to start SQL Server in single-user mode? How to restore a sql server database to a point in time? 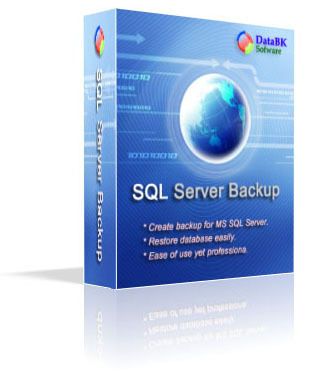 A very good feature for ms sql server backup software is the ability to restore database to a specified point in time. This feature is very useful in certain circumstances. I have a scheduled job that performs full database backup every night at 23:00 . But today , something happened , I added some records this morning , however I deleted some usefull data accidentally at 2:00 pm. Because I did not performed any backups during the day before 2:00 pm , the most recent backup is backup created at 23:00 last night. If I use this last night backup to restore my database, I'll lost all the data added/changed in the morning , but I want to keep work of this morning. Thanks for ms sql server point in time recovery feature , I can restore the database to the point in time prior to 14:00 . I just need to do a transaction log backup at current moment (suppose it is 15:00) , and then I create a restore job and specify the restore point in time is 14:00 (maybe 13:59 is better) , of cause I run the restore job as soon as possbile. My work prior to 14:00 today is saved. Although the ability to restore database to point in time is very useful , not all database can be restored to a specified point in time. Read more about How to restore a sql server database to a point in time? How to migrate mysql backup to new computer? Can I back up remote mysql server database to my local harddisk? 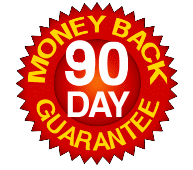 Do I have to pay for the upgrades of MySQL Server Backup? How much is MySQL Backup? System requirement for mysql backup.